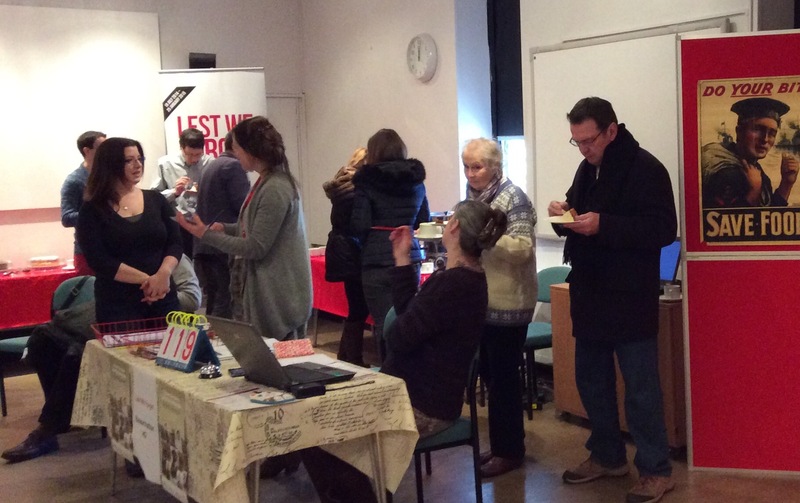 A blogpost by Gateways’ Dr Brad Beaven on Portsmouth Museum’s First World War Researchathon on 24 January 2015. The clock was ticking. The tension in the room was palpable. Could we finish our research before the 4:30 deadline? 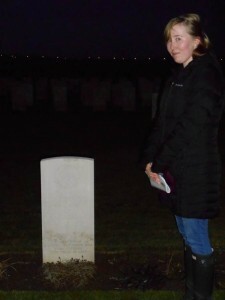 Then with seconds left, Carolyn, my co-researcher, found the missing evidence that completed the profile of our servicemen. The jigsaw was complete! To spontaneous applause in the research room, Carolyn registered another profile with a ring of the ‘Research Centre HQ Bell’. 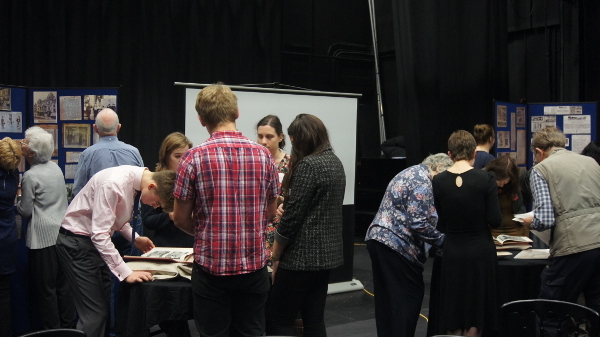 This was the Gateways’ and Portsmouth Museum’s First World War Researchathon that invited community groups, students and the general public to help complete the profiles of named individuals in the Portsmouth Museum’s and Archive’s collection. 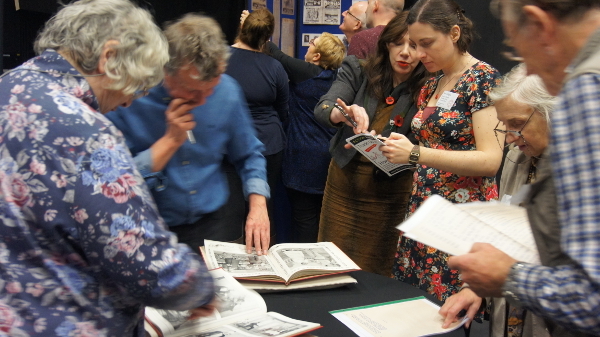 This blogpost reflects upon some of the ideas that have been successful in attracting public engagement with the First World War and those events that have sometimes missed the mark. In one sense, the Researchathon was a product of a public engagement initiative that didn’t quite work. The Portsmouth Museum, in collaboration with the University of Portsmouth, was awarded Heritage Lottery Funds to create an exhibition on the impact of the First World War on Portsmouth. 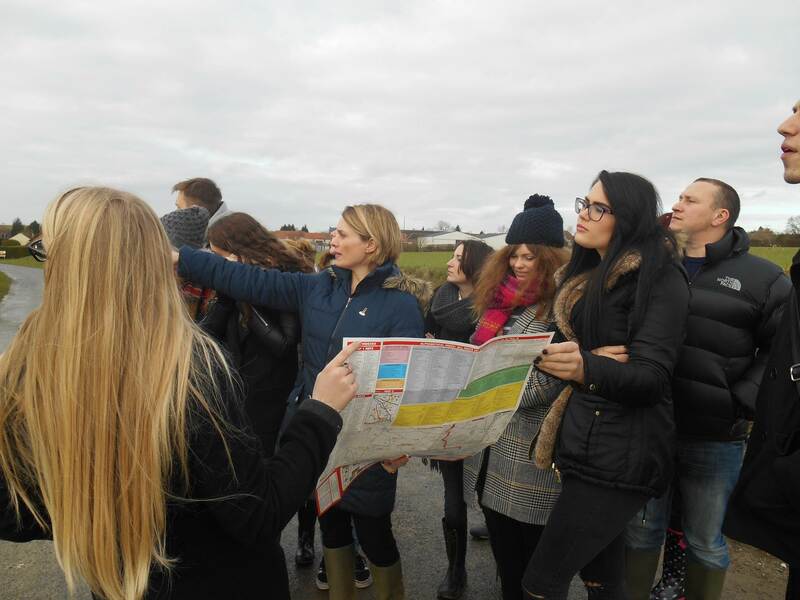 A central feature of the bid was community engagement which was successfully achieved through staging travelling workshops on researching servicemen and women and the historical artefacts of the War. 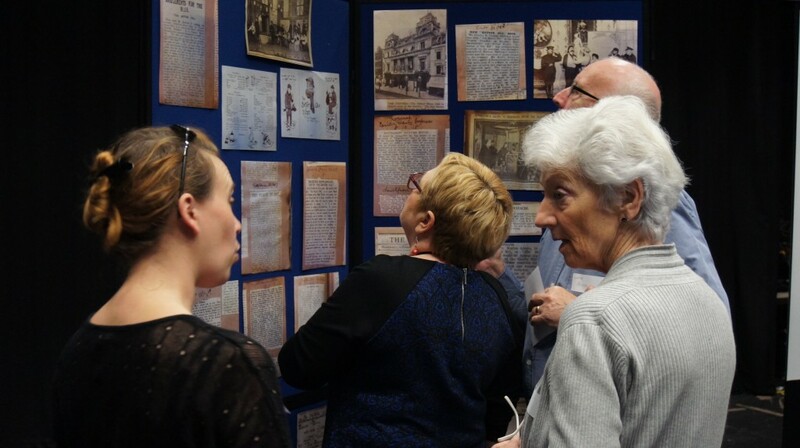 Community groups and schools also contributed to the exhibition through art work, drama or researching the background to the artefacts on display. All of these public engagement initiatives worked wonderfully and really enhanced the exhibition. 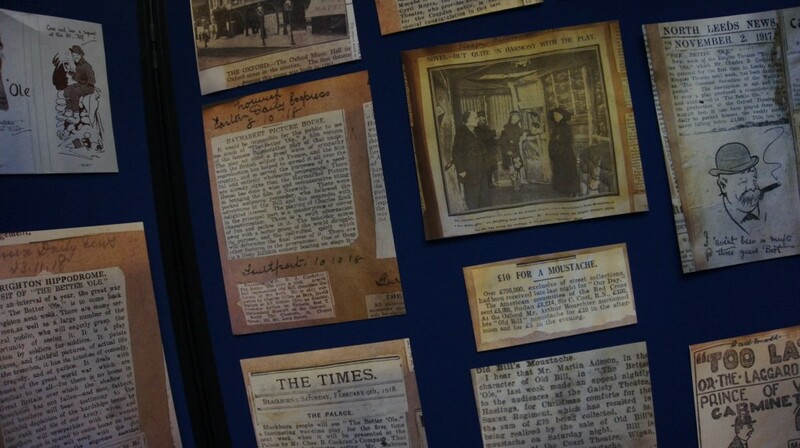 However, a key idea of the HLF bid was that visitors to the exhibition would have the opportunity to contribute to the exhibition themselves by researching and completing the individual profiles of men and women who had connections with Portsmouth and the First World War. The Museum and Archive had over 300 individuals with artefacts connecting them to the war but all we had for many of these people was simply their name. A research station was set-up in the exhibition itself with all the necessary hard-copy and on-line materials required to research the context to individuals. Templates for individuals were printed so visitors could fill in the gaps in information such as where they served, medals awarded and whether they survived the war. Researcher volunteers were on hand to help those visitors who took up the challenge to find the missing context to the people in the collection. It soon became apparent that, while the average visitor spent a longer than average ‘dwell time’ in the exhibition, he or she did not engage with the actual research process. Those who did were usually looking for their own family members who may or may not have been listed in the archive. The exhibition itself focused on individual stories of servicemen and women, civilians and their families. The exhibition surveys and the comments book confirmed that visitors were extremely interested in reading about these very personal stories. However, their enthusiasm did not extend to researching people they did not personally know. The bulk of the profiles were completed by museum volunteers and towards the close of exhibition over 160 profiles remained to be completed. The idea of the Researchathon was born! The Researchathon essentially provided additional goals and motivations for the general public to get involved. Yes, it was still about finding the context to the people in the collection, but it also encouraged a sense of purpose among a cross range of participants who included community groups, students, school children and general public. 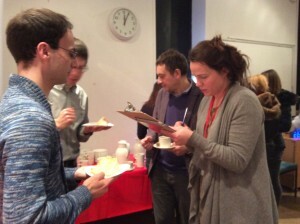 Participants were also supplied with free tea and cake for added sustenance to keep them going through the day. An HQ room was created, complete with First World War posters, research stations and, importantly, a desk with an adjudicator who kept a running total of completed profiles. To signal a completed profile the HQ bell was rung. The end-of-day deadline gave researchers an added impetus which, interestingly, resulted in individuals working together to share research approaches and material. At the end of the day we were left with only 60 or so missing profiles and many of these lacked any surviving evidence to draw from. Call it cabin fever or the competition to beat the clock, but there was certainly a camaraderie that infected all those involved, be it the experienced researcher or those new to historical research. What were the lessons learned? Well, in terms of visitors’ interest in First World War exhibitions, then personal histories and experiences of the war rank highly. The stories told in the exhibition were praised by visitors as they gave them personal insights into experiences of the war. Likewise, their own family histories prompted visitors to use the research stations in the exhibition. However, due to the time involved researching individuals and the complexities of research processes, visitors did not, on the whole, want to research individuals who had no connection with them. Essentially, if they had no family connections, visitors wanted to read the finished product in the exhibition. The Researchathon framed the research process differently and presented it as an ‘event’. It brought different sections of the community together in one room. The plentiful supply of tea and cake provided a relaxed atmosphere in which individuals began to support one another in the research tasks as the clock ticked down. Indeed, the Researchathon received very positive feedback as participants enjoyed the atmosphere of the occasion and welcomed the fact that they had learned new research skills. 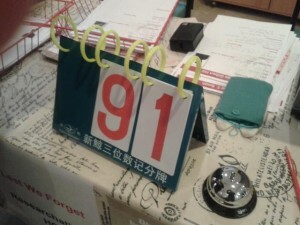 This researchathon may not have had a bank of phones or a flashy digital display on the numbers achieved. Instead, it had a room, a bell, a score card and, most importantly, a highly enthusiastic group of participants who engaged with the research process. I think we all learned something that day which, to me, makes it a very successful event! This entry was posted in Dr Brad Beaven, Events, News and tagged Dr Brad Beaven, HLF, Lest We Forget, Portsmouth, Portsmouth Museum, Researchathon on March 25, 2015 by zd30. There is a piece of kit used by all British and French soldiers that defines the Great War in my mind, capturing it in time and space. It delineates it from the second total conflict of the twentieth century, but links it back to the armies of the late nineteenth century and conjures up images of dusty imperial outposts on the North-West Frontier. I am, of course, referring to the humble puttee. I can’t quite identify when I became so fixated on this item, but it was certainly in my youth as I was first becoming interested in the Great War. I think it may have been to do with my local war memorial – a good, solid piece of bronze sculpture by Newberry Trent – of a sentinel soldier presenting arms guarding, as well as representing, the civic pride and honour of my East London suburb. Looking up at him on his plinth, it was impossible to escape the fact that his mounting at just above eye level meant that as the head craned up to take in his full size, the first detail caught by the eyes was his boots and puttees. Just what were these strange things? Not yet aware of the wonderful piece of technical Anglo-Indian Hobson-Jobson, I labelled them ‘bindings’. The real term was finally disclosed to me on my first trip to the Western Front when I was asked about the things that interested me in the Great War. I mentioned that there was something mesmeric about those bindings. ‘Aah, you mean the puttees,’ said an old chap from Blackpool with a fabulous Lancashire twang. So, that left me with a linguistic issue. Were they ‘puuuutteees’, as the Lancashire accent inferred, or ‘puttees’ as in window putty? To be honest, I think that one is an open question and either is acceptable. © IWM (Q 45825). 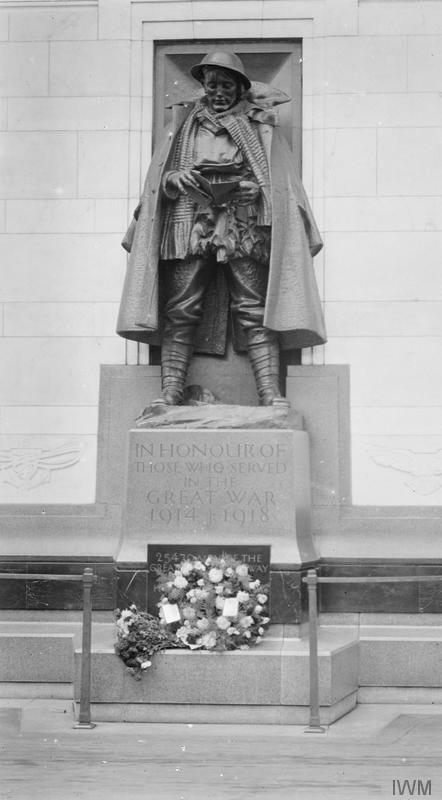 War memorial at Paddington Station, London depicting a soldier wearing puttees. So, what was it about the puttee that caught my imagination? I think first and foremost it was the idea of having what looked like a very tight serge wrapping bound tightly around the lower leg and how this might feel when wet. Secondly, and very much linked to this first point, I couldn’t shake the association with those wonderful photographs of chaps burdened down with huge Lee-Metford rifles wandering along a scrubby track in South Africa, or standing around on a rocky valley bottom watching mountain artillery batteries firing on some invisible Pathan position. The common things linking both sets of photographic images stored away in the mental picture album were sunshine, blue skies and dust. In my mind, it never rained in South Africa or on the North-West Frontier. Cold, at times bitterly cold, maybe, but rain never. In short, I couldn’t conceive how these blessed things could ever prove a blessing to a soldier attempting to do his job in a much wetter climate. Throw in miles of trenches and the wonder became even greater. But, and here is where I grew confused, the French army took to wearing them, too, so they must have had what we now call a good USP for them to have been consciously adopted specifically for this particular theatre. Unable to figure out just how they could be any good at all, I remained fixated by them. As we all know, the Great War generated a huge number of photographs, and as we also all know, for the Anglophone world at least, the Great War is dominated by images of trenches, and they are mostly associated with the Western Front. Another dominant image, visual and literary, is of the misery of men standing about in wet holes in the ground. Yet another thing we all know about the Great War is that the sun shone on two days only – 4 August 1914 when supposedly a million men went rushing off to the recruitment offices bathed in a Bank Holiday glow and 1 July 1916 when an entire generation was, so the common legend would have it, annihilated under a blazing sun. The rest of the time it poured down unremittingly. ‘Never a dry day in the trenches,’ as a character in Alan Bennett’s wonderfully insightful Forty Years On has it. In turn, this naturally concentrates the mind on the lower limbs and particularly from the knee down to the toes. We imagine men saturated. We imagine the awful misery of constantly being soaked to the skin and the creeping horror of trench foot. We see men stamping about in a thick Flanders porridge because that’s what all the films show us at some point. And, in those original sepia images nothing seems more sepia-khaki than the puttee itself. The puttee is the awful sponge of the soaking rain, the thing to which the mud clung naturally because they were so alike in colour. The puttee is the colour of Great War memory – sepia. One other colour does occur in a mental Dulux paint list of the Great War – a violently vibrant splash of poppy red. But even here it is wet, blood wet, splashy. 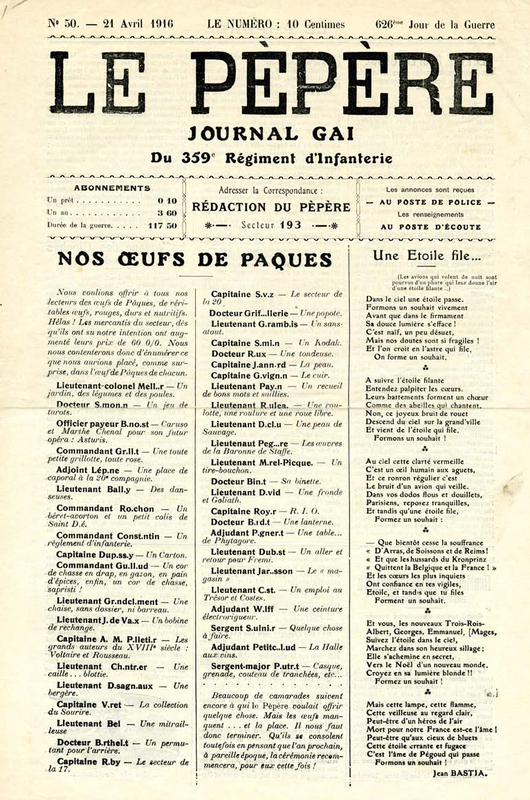 As Wyndham Lewis wrote of the Third Battle of Ypres: ‘The very name [Passchendaele], with its suggestion of splashiness and of passion at once, was very appropriate… The moment I saw the name on the trench-map, intuitively I knew what was going to happen.’ Soaking wetness is the essence of the Great War and the puttee tucked into the boots is its encapsulation. And, thanks to the presence of so many soldiers on war memorials sat up high on plinths, it is the initial moment of remembrance and memory. Most of those soldiers have pristine puttees as they are statues of sentinels, as in my home, but a few have dragged that Flanders mud back with them most notably Philip Lindsey Clark’s wonderful memorial for Southwark in Borough High Street. His soldier purposefully strives through the slough of despond. He is therefore not the pitiable soldier stood against the parapet of a flooded trench keeping endless sentry hours in unspeakable conditions. This one is the master of the battlefield, but the sheer fact that he is dragging himself through such muck focuses attention on the mud, the boots and the puttees. All of these thoughts came crashing back to me when the BBC World War One at Home project ran a story about the textile manufacturing firm of Foxes and their wartime production of puttees. I was amazed to see that the factory is still going and they can still make them. Or perhaps a more fitting way of putting it given their dominant association is to say ‘pump them out’? By this time, however, I had learnt from various army manuals, memoirs and living history enthusiasts that the puttee can be a remarkably effective shield against cold, muck, dust and wet provided it is correctly bound. I must admit that that proviso has allowed me to maintain more than a scintilla of doubt about its actual effectiveness. 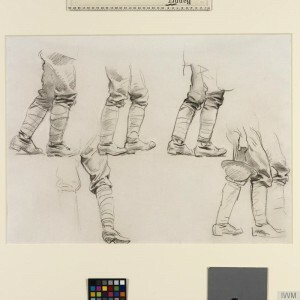 And this explains why, whenever I see any image of British and imperial soldiers in the Great War, I always find myself viewing from the feet upwards. This entry was posted in Articles, Professor Mark Connelly and tagged Equipment, Foxes textile manufacturer, Memorials, Memory, Professor Mark Connelly, Puttee, Puttees, Remembrance, Western Front on February 3, 2015 by zd30. 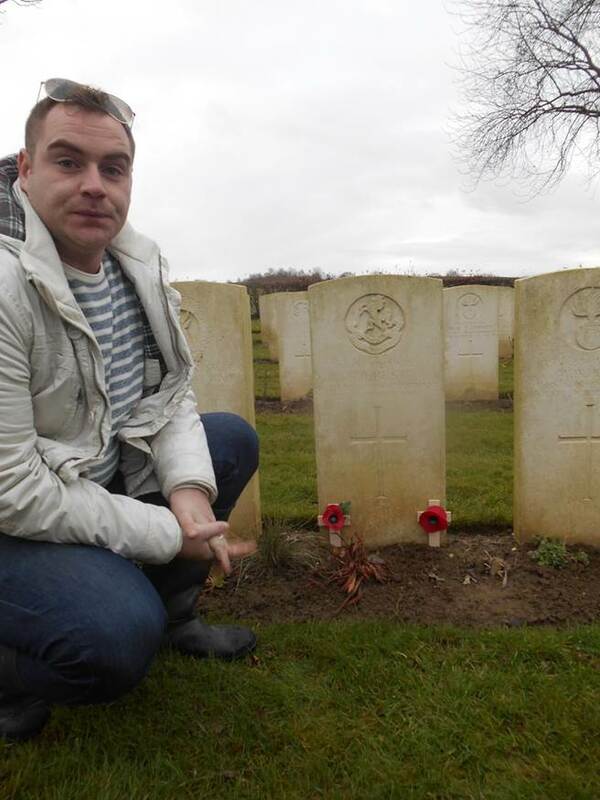 “It is easy to get bogged down (excuse the pun) in the Battles of Trench Warfare, but now I see that plays of the time are an insight into the culture of the time, which to me is equally as important in understanding the reasoning behind the Great War. This new insight has opened up a whole new perspective”. Lindsay Kennett, who wrote these words in an email to me last week, was just one of the 30 plus participants who took part in our public study day on First World War theatre, on Tuesday, 11 November at the Marlowe Theatre, Canterbury. The aim of the day was to raise public awareness about how looking at theatre can shed new light on ideas about, and responses to the war: for Lindsay and the many other participants who echoed her sentiments in their feedback, it was clearly a great success. Over the course of the day we got stuck into a diverse range of activities, all of which were facilitated ably by a team of fantastic student, and ex-student helpers from the Drama Department in the University of Kent’s School of Arts – Rebecca O’Brien, Rebecca Sharp, Kinga Krol, and Charlotte Merrikin. Beginning with a brilliant workshop run by Jane Gallagher, the Special Collections archivist at the Templeman Library, participants had a chance to get ‘hands on’ with sources from Special Collection’s archives (including newspaper clippings, scripts, programs and playbills) and to interrogate them in order to answer questions such as ‘how did the theatre “do its bit” for the war effort?’, ‘what impact did the war have on the theatre industry?’, ‘in what different ways was the theme of war treated in performance?’, and ‘how did audiences change during the war?’. This last question then led us into Professor Viv Gardner’s (University of Manchester) stimulating talk about audiences during the war. Reminding us that audiences were made up of diverse groups and that their responses changed depending on the context of the performance, Viv also drew on some moving stories about individual spectators which brought to life the experience of theatre-going during the war. After a delicious lunch, courtesy of the Marlowe, and an opportunity to chat to each other about our diverse interests and backgrounds (participants included students from the Langtons schools, members of the Western Front Association, and local historians, to name but a few) the afternoon began with rehearsed readings of three First World War one-act plays: The Devil’s Business by J. Fenner Brockway (1914); God’s Outcasts by J. Hartley Manners (1919); and A Well Remembered Voice by J.M. Barrie (1918). It was quite something to see these plays brought to life, the first two quite probably for the first time ever. The actors, including three University of Kent Drama students, Zach Wilson (PhD), Alexander Sullivan, and Louise Hoare, all did an excellent job, especially as the plays were quite distinct in tone and style, and as the actors had only had two and a half days rehearsal in total. After a stimulating discussion about the plays, with some excellent insights from audience members, the day was then rounded off nicely with a thoughtful talk by Dr Andrew Maunder (Reader at University of Hertfordshire) about his own experience of staging ‘lost’ WW1 plays, and in particular A Well Remembered Voice. This wasn’t the end though! After just a few hours break – during which it was exciting to see our pop-up exhibition on WW1 theatre in the Foyer attracting a lot of attention from audiences waiting to see the RSC – many of us were back at the Marlowe for the evening rehearsed readings. It was great to see an almost entirely new audience for this. As well as a number of Kent students people came from as far as Dover to join us for this exciting performance. Three of the one-act plays we shared were the same as in the afternoon (although the performances were quite different in energy, something the actors reflected on in the questions afterwards) and we also added an unpublished short play about the Belgian experience during the war entitled There was a King in Flanders (1915) by John G. Brandon. With these four pieces we therefore covered not only the chronological breadth of the war but also a number of different responses to this world event. From The Devil’s Business (1914), a biting satire on the arms trade and its place in fuelling conflict, which was banned in London during the war; to There was a King in Flanders (1915) with its focus on a dying Belgian soldier; and finally to God’s Outcasts (1919) and A Well Remembered Voice (1918) both of which offer sharply different responses towards grief, the plays as a whole offered new insights into the diverse ways in which theatre treated the war between 1914 and 1918. And with insightful comments and an enthusiastic response from the audience, it seems there’s certainly potential to hold similar events in the future. If you’d like to find out more about Theatre of the First World War, contact Dr Helen Brooks at h.e.m.brooks@kent.ac.uk. Our pop-up exhibition on Theatre of the First World War is available for free loan to theatres, schools and other public institutions. If you would like to host this exhibition simply get in touch with gateways@kent.ac.uk. There is no charge for hosting or delivery. 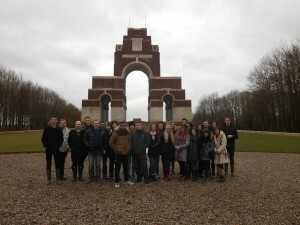 This study day was one of a series of events being run by Gateways to the First World War. To find out more visit our events page. All photographs courtesy of Leila Sangtabi, University of Kent. This entry was posted in Dr Helen Brooks, Events, News and tagged Dr Andrew Maunder, Dr Helen Brooks, Exhibition, First World War, J. Fenner Brockway, J. Hartley Manners, J. M. Barrie, John G. Brandon, Performance, Professor Viv Gardner, School of Arts University of Kent, Theatre, Theatre in war, University of Kent Special Collections on December 11, 2014 by zd30. In his latest blogpost Professor Mark Connelly discusses R.H. Mottram’s novels and essays on the First World War. Among my presents on Christmas Day 1985 was a book called Three Personal Records of the War. I remember that it was in beautiful condition. Its binding was amazingly tight and was, to use the Dylan Thomasism, ‘bible-black’ in its blackness. Looking inside I found that it contained three long essays authored by R.H. Mottram, John Easton and Eric Partridge respectively. I had heard of Eric Partridge. Thanks to being interested in Oh What a Lovely War!, I had come across his wonderful, The Long Trail: Soldiers’ Song and Slang, collated with John Brophy. The other two were complete mysteries to me, and to be honest my grip on John Easton remains slim to say the least (is he the same chap who wrote about postage stamp design in the 1930s?). Then there was the publisher, Scholartis Press. By this stage, thanks to my parents being very good at snapping up things about the Great War in our local second hand bookshop, I was used to a good range of publishers such as Methuen, Blackie, Macdonald, Hodder and Stoughton, Chatto and Windus (or more properly Chatto & Windus: the ampersand is everything). Thanks to that teenage immersion, those names will always conjure up visions of offices in courts somewhere off Fetter Lane deep in the heart of a still very Dickensian City of London. Scholartis on the other hand stumped me, and a bit like John Easton, still means nothing to me aside from this particular volume. On flicking through its creamy, thick parchment-like pages, all in perfect condition, I became more and more convinced that no one had ever read this book. I found myself wondering whether it had been bought as a present for someone very interested in the war, but steeped in things like Churchill’s The World Crisis or Sir John French’s, 1914, found this a poor substitute, and promptly shoved it into their bookshelves in a room that didn’t see much summer sun. Was it simply a very dull collection of pieces that no one else would publish I found myself thinking. Distracted by other things, I got no further than a quick dip into it myself and put it back on my shelves. Then another piece of the jigsaw fell into place. Whilst scrabbling about in dear old Edward Terry’s (the second hand bookshop of my London suburb), I saw the bright orange and faded white cover of a 1930s Penguin classic. What really caught my eye was the title and author, R.H. Mottram, The Spanish Farm (originally published in 1924). I knew from the details about each author in Three Personal Records that Mottram was the author of something called The Spanish Farm Trilogy, but had no idea as to its contents. I picked it up and saw that it was a novel about the Great War and the setting was somewhere between Dunkirk and Ypres and not much further south than Hazebrouck. It was very cheap and so I bought it, took it home, flicked through it a bit more, found that it seemed distinctly lacking in drama and put it on my bookshelves. The two books sat there not much examined until I was an undergraduate studying a module on the Great War and literature and I noticed there was an essay question on R.H. Mottram. Totally intrigued as to what this chap was doing among the Sassoons and Owens, I couldn’t resist picking it. I also strongly suspected that no one else would go near it and so the secondary literature items associated with the question would probably be easy to grab from the university library shelves. Hurriedly retrieving my copies of both books, I started to read. And, as you have probably guessed, I was instantly hooked. The Spanish Farm amazed me. Nothing seemed to happen, certainly nothing particularly interesting about the front line anyway, but everything happened. As a suburban East Londoner, I was deeply engaged by his portrait of the British Western Front. Described as an area with a population about the size of London, he identified its West End as the rearmost areas where the great base hospitals and headquarters could be found often in highly civilised settings. The zone a bit closer to the line was like the City of London for it was the heart of administration and planning. The final component was the East End, the industrial zone, the front line where the killing was carried out with mechanical regularity. Deeply attached to The Diary of a Nobody and Betjeman’s tender solicitude for London clerks, I found in Mottram’s Western Front a world of khaki-clad Pooters and Metroland dwellers. By the same token, this author clearly inspired by Galsworthy and Trollope, also plunged me into a Zola-esque world of Flemish peasants who did not give a stuff about Germans, French or British soldiers and just wanted everyone to bugger off and leave them alone. This was a stunning revelation. They were no longer the anonymous, miserable swindlers, crooks and beggars of Graves’ Goodbye to all that, but passionate, stubborn, resilient people who had had their lives turned upside down by the war and were determined to get even by squeezing every penny they could get out of the British to cover the costs of billeting and the damage done to their property by largely clumsy, and only occasionally malicious, British soldiers. Madeleine, the daughter of old Vanderlynden, owner of the Spanish Farm, seemed terrifying in her single-mindedness and cunning. She is aged twenty at the start of the novel, my age as I was writing the essay, but she seemed infinitely more savvy than me. I felt very, very innocent next to Madeleine. Finishing the novel, I quickly got hold of the other two in the series, Sixty-Four, Ninety-Four (1925) and The Crime at Vanderlynden’s (1926). As I read, I saw more and more how deeply Mottram understood the culture into which the British army had intruded, and also how deeply the war had affected him. His ability to provide so many different pen portraits of peoples and landscapes – often buttressed with references to the paintings of the Flemish masters – revealed a man who had soaked up the war through the sodden Flanders soil. After finishing the novels, I finally picked up Three Personal Records and read his essay. Mottram was clearly the star turn of the three. Even the book’s title seems to concede the fact being uncannily close to the title of his own essay, ‘A Personal Record’. Although producing another minor masterpiece of understated, middle-brow prose, as with The Spanish Farm Trilogy, Mottram revealed his determination to grapple with issues ignored almost entirely by other writers. 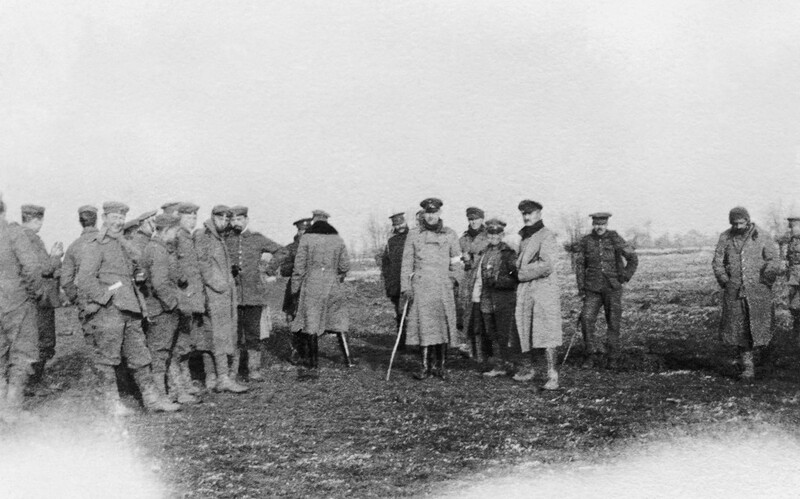 Most remarkable to me was the decision to discuss the disturbances at Etaples in 1917. The public record of the British Army’s conduct allowed no entry for the one outbreak of large-scale indiscipline, and yet here was a man who tackled the subject head-on. He used the intriguing metaphor of the ‘Headless Man’ to describe the phenomenon, but in doing so shrewdly reduced the incident to something unplanned, uncoordinated and totally lacking in revolutionary fervour. It was just a lumbering, zombie-like mass of men crashing around because they were fed-up. As such this must have been deeply reassuring to a middle class fearful of Bolshevik infiltration of British life. But, he also sent out the dreadful warning never to repeat what he labelled ‘the nightmare of waste’. I found myself more and more intrigued by Mottram’s beliefs about the war and his own war experience. He introduced me to the idea that ambiguity about the war was not only possible, but very probably the dominant response to it. Here was no Sassoon raging about a confidence trick played upon his generation. Here was no Owen agonising over the pity of war. Instead, Mottram maintained his pride at being a volunteer, his insistence that his fellow soldiers revealed wonderful reserves of sang-froid, stoicism and good humour, that on the whole the cause Britain fought for was justified, but at the same time he was horrified by its vast cost which brought the civilised world to the verge of collapse. Could this building have been the inspiration for Mottram’s ‘Spanish Farm’? This entry was posted in Articles, Professor Mark Connelly and tagged Abeele, Poperinge, Professor Mark Connelly, R. H. Mottram, The Spanish Farm Trilogy, Three Personal Records of the War on November 7, 2014 by zd30. 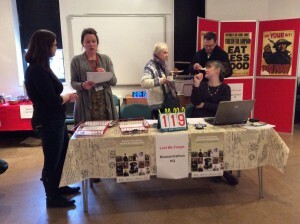 ‘War Stories Open Day’ at Brighton Museum: Engagement, Empathy and the First World War. In this blogpost Dr Lucy Noakes discusses a recent First World War centenary event in Brighton and reflects on the personal dimensions of our continuing fascination with the First World War. On Saturday 13 September, 2013, the grounds of the Royal Pavilion estate in Brighton echoed once again to the sounds of Sikh riflemen parading and marching. Between 1914 and 1916 the Royal Pavilion and the Dome in the centre of the city had been the Kitchener Hospital, one of three buildings in Brighton (the others being the workhouse and a school) that were a temporary home to soldiers from the Indian sub-continent who had been injured while fighting on the Western Front. 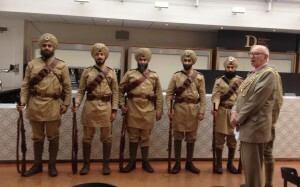 The 15th Ludhiana Infantry Regiment, a re-enactment group under the auspices of the National Army Museum’s ‘War and Sikhs’ project were participating in the War Stories Open Day being run by the Royal Pavilion and Museum to mark the major War Stories exhibition running at the Museum until March 2015. 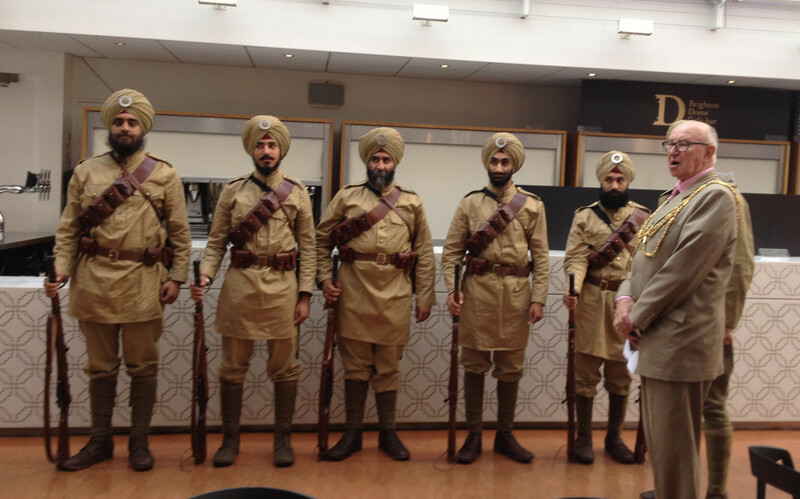 15th Ludhiana Infantry Regiment (National Army Museum War and Sikhs project) with Brian Fitch, Mayor of Brighton. Brighton Dome. This affecting and affective exhibition traces the history of the war through fifteen individuals who came from, or had links with, Brighton during the war years. These included Bob Whiting, the goalkeeper with Brighton and Hove Albion football team, who joined the army with some of his team-mates in 1915 and was killed in the Arras offensive of 1917, a family of Belgian refugees who settled in Sussex, and Manta Singh, officer in a Sikh Regiment (and great grandfather of one of the re-enactors present at the Open Day) who had died in the Kitchener hospital in 1915 of wounds received when rescuing his commanding officer from the battlefield. 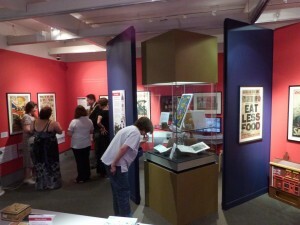 In this focus on individuals, the exhibition could perhaps be understood as being shaped by the ‘new museology’; an approach to museum displays that has moved beyond the traditional ‘glass case’, replacing artefacts with affect and focusing instead on the lives and stories of historical actors as a means to engage the interest, and empathy, of the visiting public. As this short piece will go on to argue, this is an approach that perhaps has an especial resonance for our understandings of the First World War. As well as the Sikh Regiment, many other groups participated in the Open Day, and visitors to the Museum were able to handle wartime artefacts, hear popular songs from the war years, find out more about the history of Brighton and Hove during the war, and research the histories of their own families and communities in wartime. ‘Gateways’ ran an information stall, where we helped visitors who wanted to discover more about their ancestors’ wartime experiences. Helping people to research these experiences was a fascinating experience for the historians and history students who volunteered on the stall – a real ‘hands on’ history that reinforced our sense that the First World War continues to have a real resonance in many people’s lives today. It’s not often that the historian encounters the visceral emotional response that some visitors to the Gateways stall had when encountering the names of relatives on the Commonwealth War Graves Commission website. Why is this? In part, of course, it is due to the nature of the war itself – its unprecedented and unexpected scale continues to have a resonance down the years, leading to a widespread understanding of the conflict as marking a kind of break between a lost, past world (‘never such innocence again’ as Larkin remarked fifty years on) and the modern world of today. Political, as well as social and cultural histories have played their part in this: the rise of the totalitarian regimes that so dominated and decimated Europe in the mid 20th century are widely seen as having their origins on the battlefields of First World War, and the unsatisfactory peace treaty at its close. Cultural historians like Modris Eksteins and Paul Fussell have found in the war a turn away from the literary, musical and artistic forms of the 19th century and an embracing of the tropes of modernism, in high culture if not in its more popular forms. And social historians have long debated the extent to which the war was a modernising force, bringing in its wake an extended democracy, and an increased willingness of the state to intervene in areas previously understood as the domain of the individual and the family. There is clearly more to it than this however. Many feel a real, personal link to those whose lives were shaped by the war. This is, I think, more than a simple desire to be ‘a part of history’, to claim a personal, familial role in the conflict that is being commemorated at the moment, though as Dan Todman has perceptively noted, this can be a factor in the ongoing fascination with key events of the war years for Britain, such as the first day of the Battle of the Somme, or Passchendaele, the third Battle of Ypres. There is a personal dimension to the continuing fascination with the war years that can be harder to trace in many of the other key events of the recent past. 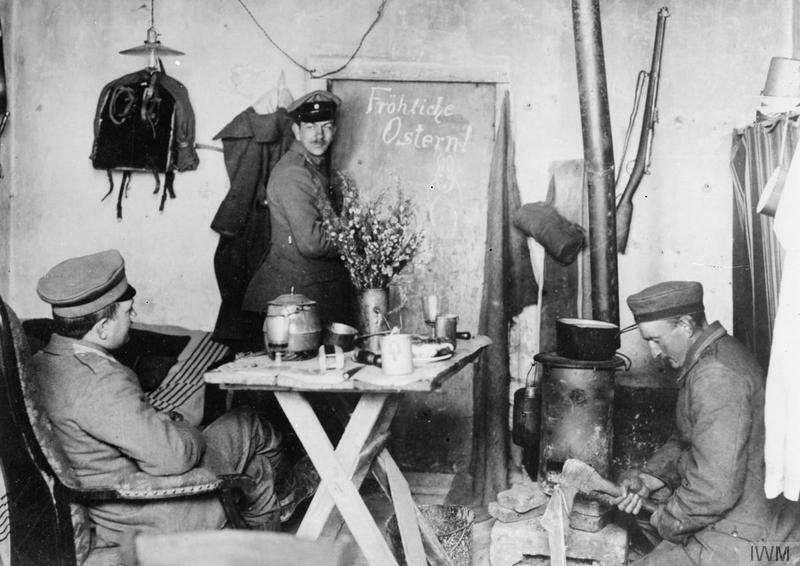 The First World War coincided not only with the growth of photography and film, giving us numerous images of the battlefield and the home front, but with the growth of literacy, enabling more ‘ordinary’ soldiers to write home about their experiences, or to reflect on these after the war in forms that have been passed down through families and in archives. Conditions for soldiers and civilians in the Boer War just a decade or so earlier may have been equally foul, but, for the most part, they weren’t written down or photographed, and the smaller numbers involved mean what memories there are exist in fewer households today. The sheer numbers of those involved then plays a key role in this, as family stories of ancestors caught up in the war both reinforce and are shaped by, popular, public representations. The rush to volunteer in 1914, the formation of the Pals Battalions in 1915 and the introduction of conscription in 1916 ensured that more men than ever before were to experience military life. The formation of the Women’s Auxiliary Army Corps in 1917, and the work of nurses on the war fronts, together with aerial and naval bombardment, ensured that many British women saw the impact of industrial warfare first hand. Many households in Britain today can claim some link to the First World War, either through the participation of a male ancestor in the military or through the war’s impact on those at home in Britain, or in the Empire and Dominions. War memorials, Remembrance Sunday, war poets on the school syllabus, and the ease with which many of us today can visit the war cemeteries in France and Belgium all demonstrate both the continuing fascination with the war years, and its ongoing presence in our material and cultural lives. Many historians continue to express frustration with (to reluctantly cite Michael Gove) ‘the Blackadder version of the war’, in which everyone dies, and indeed we should remember that the majority of combatant survived the war, and that the social and economic changes it engendered led to long term improvements in the lives of many. However, I would suggest that today’s wide public acceptance that the war was, largely, a futile waste of men’s lives that ended in an unsatisfactory peace which laid the grounds for the even more destructive Second World War, in fact indicates not only an admirable empathy with those who suffered in the war, but a perhaps even more worthwhile scepticism about politicians who are all too willing to rush into conflicts today. The focus on individual stories, and the emotional resonance that the war still has for many, means that the centenary of the war provides us with fertile ground for engaging with the wider public in historical research. Merriman, N. (1991) Beyond the Glass Case: The Past, the Heritage and the Public in Britain (Leicester: Leicester University Press). Eksteins, M. (1989), Rites of Spring: The Great War and the Birth of the Modern Age (New York: Houghton Mifflin); Fussell, P. (1975), The Great War and Modern Memory (Oxford: Oxford University Press). Marwick, A. (1965; 2006), The Deluge: British Society and the First World War (Hampshire: Palgrave Macmillan); Braybon, G. (1981), Women Workers and the First World War (London: Routledge); Gregory, A. (2008), The Last Great War(Cambridge: Cambridge University Press). Todman, D. (2009), ‘The 90th Anniversary of the Battle of the Somme’ in M. Keren & H. Herwig (eds. ), War Memory and Popular Culture (North Carolina: McFarland). This entry was posted in Articles, Dr Lucy Noakes, Events and tagged 15th Ludhiana Infantry Regiment, Brighton Museums, Brighton Pavilion, Commemoration, Commonwealth War Graves Commission, Dr Lucy Noakes, War Stories on September 22, 2014 by zd30.